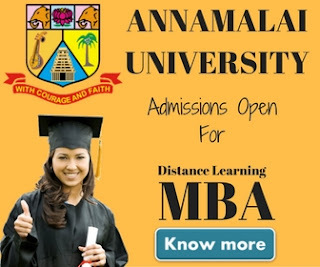 Anna University Distance Education MCA 2019: Anna University is one of the most reputed universities in India. In 2002 UGC have accredited Anna University with Five Star which is the highest rating. It's been ranked 7th best university in India. The university is located in the southern part of Chennai. The university offers many regular & distance education courses. The most popular distanceeducation course at Anna University is MBA although MCA is also very popular. 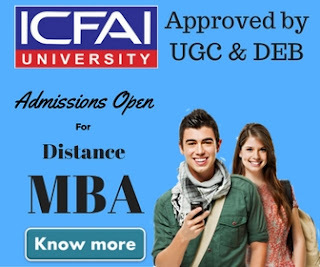 In our today’s post we’ll write about Anna University Distance Education MCA course, MCA Fee structure, MCA Admission procedure and other details that will help you take admission into Anna University Distance Education MCA programme. Anna university distance education MCA duration is 3 years. The entire course has been divided into 6 semesters and each semester is of 6 months duration. The distance education MCA from Anna University also has most updated syllabus. The University update its syllabus time to time. In last 7 years Anna university updated its syllabus for distance education MCA 3 times. The last update was in 2013. First 5 semesters has been divided in theory & practical sections. The 6 semester contains a project that is mandatory for all. The 6 semester also has one subject about cloud services & one elective. The total number of credits in MCA programme is 114. Semester 1 is of 20 credits, semester 2,3,4,5 are of 19 credits each and the final semester i.e semester 6 has 18 credits. Candidate who has a bachelor degree with Mathematics/Statistics as one of the subjects at degree of 10+2 level can apply for admission in Anna University distance education MCA course. All students also required to pass Distance Education Entrance Test (DEET) conducted by the CDE, Anna University, Chennai. Anna University take admission in distance education MCA programme twice in a year. All admissions are made based on the Distance Education Entrance Test (DEET). Students should also match the eligibility criteria mentioned above. All candidate who qualify Entrance Test will be provisionally selected for admission into Anna University distance MCA course. A rank will be prepared based on the marks obtain by candidates in DEET. The admission will be provided based on the rank. A separate rank list will be prepared for TANCET candidates based on TANCET score and they will be considered for admission as per their rank against the seats set apart for them. Note only students who can provisional degree certificate or original degree Certificate with all semester Mark Sheets will be entertained for admission. If you fail to provide those certificate Anna University may cancel your admission. OFF campus Under Graduate degree holders can’t apply for admission in Anna University distance education MCA. Anyone who recently enrolled himself in any P.G Programme and undergoing the Programme will not be eligible for admission. Candidates can only pay their fee in the form of Demand Draft drawn in favour of the "Director, Centre for Distance Education, Anna University Chennai" and payable at Chennai. The fee for Anna University Distance Education MCA programme is Rs.18650 for 1st semester and Rs. 12500 for each subsequent semester. An additional fee of Rs.400 has also be paid towards recognition fee if you have obtained your qualifying degree from outside Tamilnadu.